Boost More Sales with Mobile Exit Intent Technology! 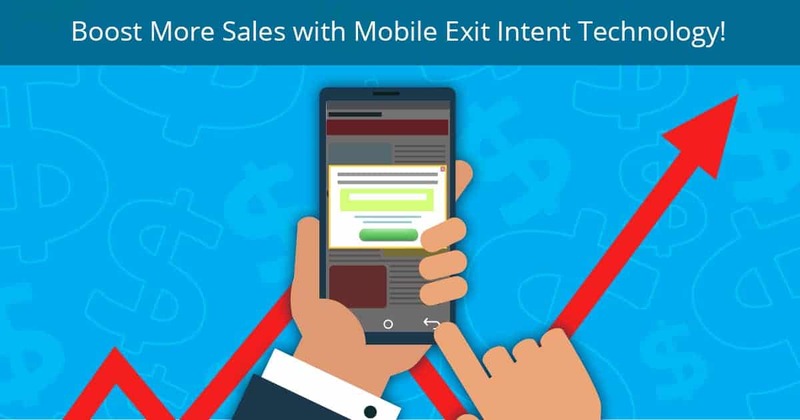 Mobile Exit Intent technology brings a new era in online marketing with broader opportunities of getting more sales for an eCommerce (and others) websites. Now, that people spend a lot more time on the net using their mobile devices, rather than computers, mobile campaigns have become more important. So just collect all your forces and focus them on mobile marketing of your website. Mobile Exit Intent technology differs from the actual exit intent operation. On desktops, it was based on mouse movement. Mobile triggering is not based on mouse movement, there are two actions that can trigger a popup on exit intent on mobile. One of the known methods of triggering an exit popup on mobile devices is taping the “back” button on the screen. This triggers the popup, supposing the user will leave the page. 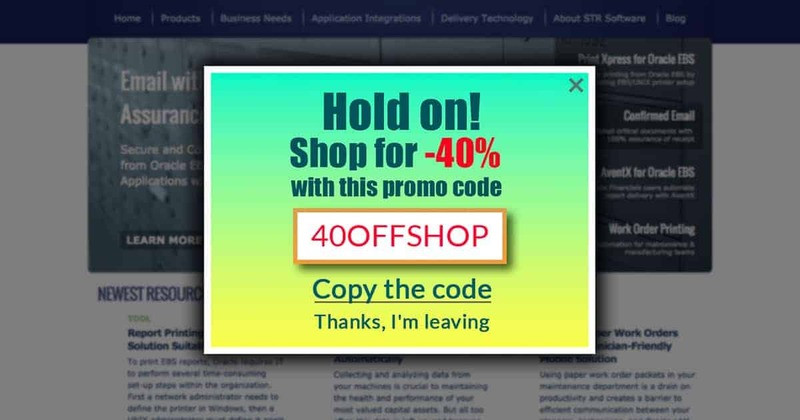 This is the actual moment you can offer a pretty enticing sale to keep the user on your site and do shopping. Another method of triggering a mobile exit intent popup is double-click to switch the browser tabs on mobile. When you try to switch the tabs of the browser, a popup opens on the page, supposing you’re leaving the page. A perfect offer can make anyone hang longer on the site, thus decreasing the bounce rate of the site. Exit intent popup, in general, should be very enticing and convincing to make the users change their mind and stay on your site for further actions. Pay attention to the text size in the popup and make sure it’s prominent enough to attract the user’s attention. This is extremely important for mobile exit popups, as the screen is smaller, so the popup. That’s why you should make it more attractive. 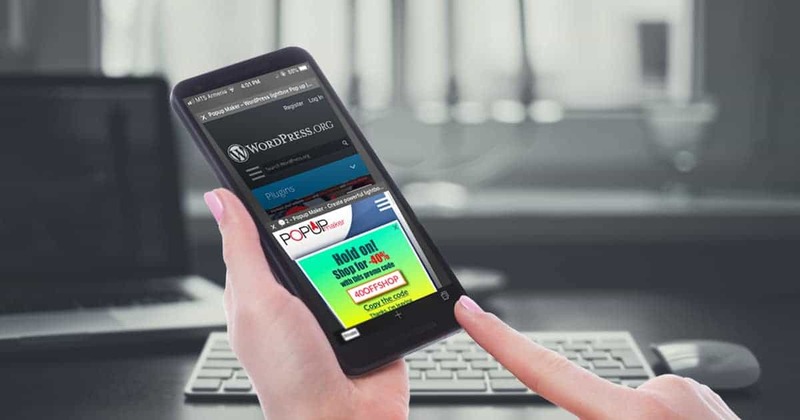 Besides, there are some very important points to consider when creating a mobile exit intent popup, to escape from getting penalties from Google. We have mentioned it in our previous posts. According to the Google’s latest announcement about website popups on mobile gadgets, the popup dimensions to be considered in order not to interfere with the view of the visitors. So, a perfect solution in this case will be setting the dimensions of your popup so that they will cover the 40% of the page (on mobile view). Mobile exit intent technology is the key to get more conversion on the site and increase the sales. Keep up with the evolution of online marketing and include mobile marketing with exit intent usage. Trigger mobile exit popups via “back” button and double click to switch the browser tabs and show your super offers to keep the shoppers. Make attractive and on point offers and start getting more sales on your store! 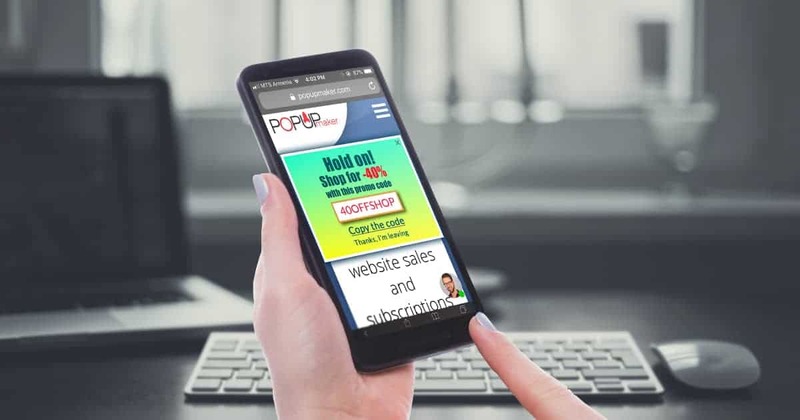 Next Post:How to create a popup with Popup Maker that will boost your sales?